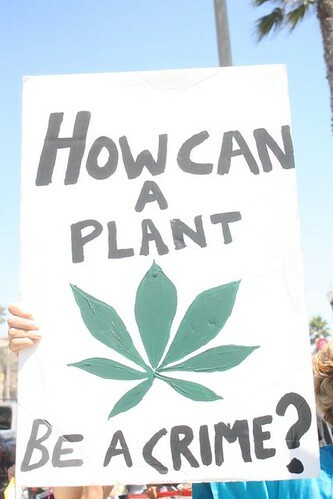 On the way to the Weezer concert on the beach, I passed a demonstration for Proposition 19, an upcoming ballot measure in California that would essentially legalize marijuana and generate revenue (e.g. taxes). 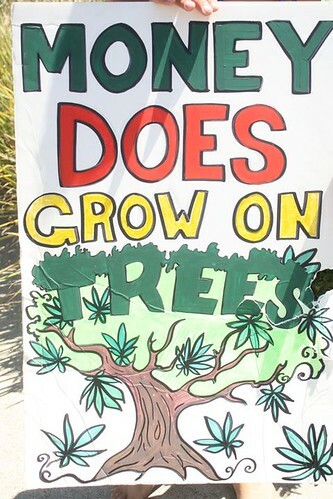 Most of the demonstrators were under 25 and surprisingly it didn’t reek of marijuana. I’m no marijuana user, but I think it’s high time (no pun intended) to treat marijuana as different as alcohol or other legalized substances. It’s time to stop punishing users of marijuana and hauling them away to jail for unnecessary sentences. The only thing Prop 19 supporters must do besides holding demonstrations on busy intersections is to actually vote for this measure. More pics available on my Flickr page! Subscribe to my blog now so you won’t miss a thing!